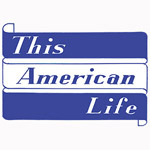 This American Life is a weekly 1-hour show hosted by Ira Glass. Each week, the show features a central theme around which several stories are presented. The format is much like an audiobook, where guests will provide a narrative about an event in their life. The topics are very broad, ranging from stories of survival to family disputes. This variety is fantastic, but is does mean that the entertainment value for an individual may fluctuate depending on their level of interest on a particular topic. Generally there is at least one story per episode that you will find entertaining, but there definitely are a few turkeys in the bunch. On the other hand, when the topic is good, and the stories well told, This American Life can be hands down the most powerful and touching podcast out there. Give it time, and don’t judge it on your first listen. When it’s good, it’s really good, but it can be hit and miss. Always polished and well researched. An outstanding example of modern radio. On a good week, This American Life could easily score a 10 out of 10 in all aspects, but on a bad week it could go as low as 5. Even so, it’s those good episodes, those episodes that are so powerful and thought provoking you want to give the MP3 to everyone you know, that keep you coming back. This entry was written by podwatch and posted on February 17, 2008 at 3:24 pm and filed under Narrative, True stories with tags drama, Ira Glass, radio, This American Life, True stories. Bookmark the permalink. Follow any comments here with the RSS feed for this post. Post a comment or leave a trackback: Trackback URL.